NOTE: A traditional recipe made with bread dough. 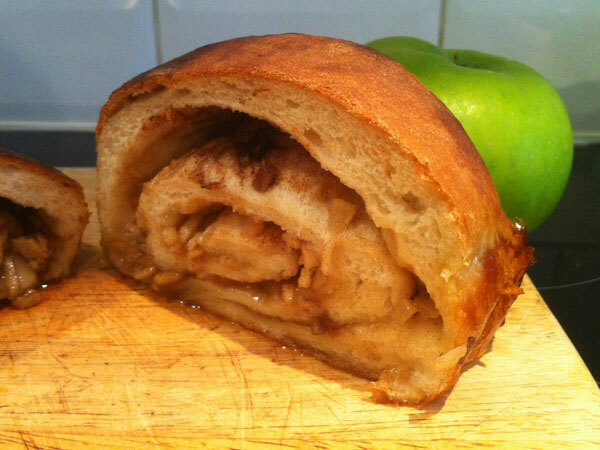 A delicious mix of teacake and apple danish. Many thanks to Catherine Rothwell who has allowed us to reproduce recipes from her, now sadly out of print, Old Hertfordshire Recipes. Catherine is an award winning author who has published over 80 titles including many local histories and old recipe books.